Toptal is proud to sponsor the next gathering of the Constanța Web Developers, taking place April 2nd at 6:30pm. This meetup welcomes all programmers and web enthusiasts, who regularly get together to share knowledge and experience. 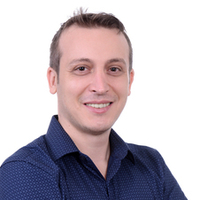 Paul Grigoruta, a Toptal developer and Community Leader for Constanța: Toptal - freelancing as a way of life. Come get to know the local community, and feel free to invite a guest if they would be interested in finding out more about Toptal.